You may purchase tickets at the event. 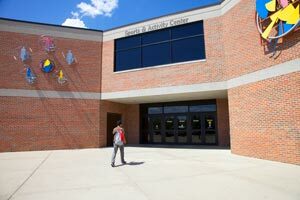 Sports and Activity Center houses the Parkside Health, Exercise Science, and Sport Management programs along with student recreation, Ranger athletics, Basketball, Volleyball, Indoor Track & Field, and Wrestling Events. The “SAC” houses classrooms, a gymnasium and field house with multiple courts and a 200-meter track.